Toop&Toop Blog: Our state on show for the Tour Down Under! Our state on show for the Tour Down Under! 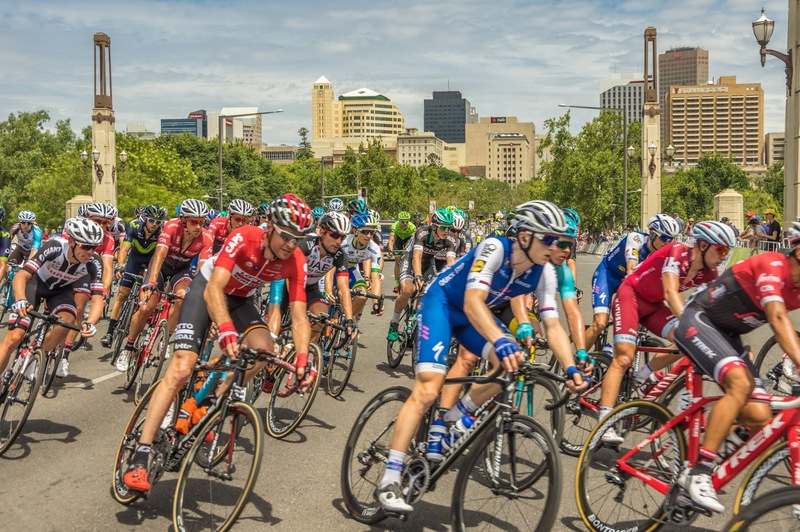 The Santos Tour Down Under is the largest and most prestigious cycling event in the southern hemisphere. Bringing tens of thousands of visitors to South Australia each year, it strengthens our state's international profile through extensive media coverage and makes a major contribution to the local economy. Last year, the event attracted record numbers with more than 840,000 spectators, and more than 43,000 visiting the state specifically to attend the event. How does this impact our world of real estate? It means that this month our state is on show to the world! The Tour passes through more than 55 of our state's metropolitan suburbs and country towns including Norwood, Unley, Lyndoch, Norton Summit, Stirling, Aldinga and Victor Harbor. We often hear conversations start off as hypothetical 'what ifs' and then turn into a serious search for property in Adelaide. We see an influx of guests from our eastern states, and the natural conversations during these events lead to comparing what you can buy here in Adelaide for the same money in Melbourne or Sydney. Metre for metre, and location for location - the value for money in Adelaide is incomparable to other cities. This coupled with the event buzz, suburb street parties and a New Year, it can often be the catalyst for many to take action to make a move or to start or add to their property portfolio. Adelaide's stable property returns and consistent growth make our city an attractive market for those investors that are more risk-adverse. According to a recent report by CoreLogic, Adelaide is bucking a nationwide fall in property values over the past quarter, with our market actually growing over the same time period. Adelaide has a strong track record of steady growth and property experts are reporting our city to remain as one of the best buys this year. With our state's huge investment into the Royal Adelaide Hospital last year, major transport system upgrades and an influx of fantastic international events such as The Tour Down Under, there has never been a better time to grow a property portfolio. And for those who are looking to divest property, now is the time to make the most of these market conditions and put your home on the market to capture this interest. If you would like to know more about property management, getting your property ready for sale, or what areas are currently in demand with local, national and international investors we would love to help. Please feel free to give myself or one of our team a call today and we'll talk you through how you can make the most of the current property market!